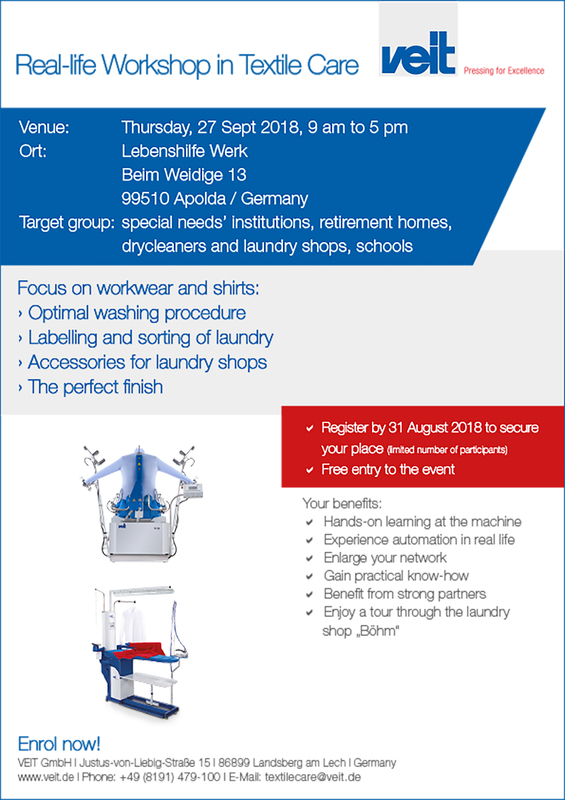 VEIT offers training seminars on 'modern finishing technology' to give you know-how, practical experience and problem solving methods in 'hand ironing, pressing and finishing'. 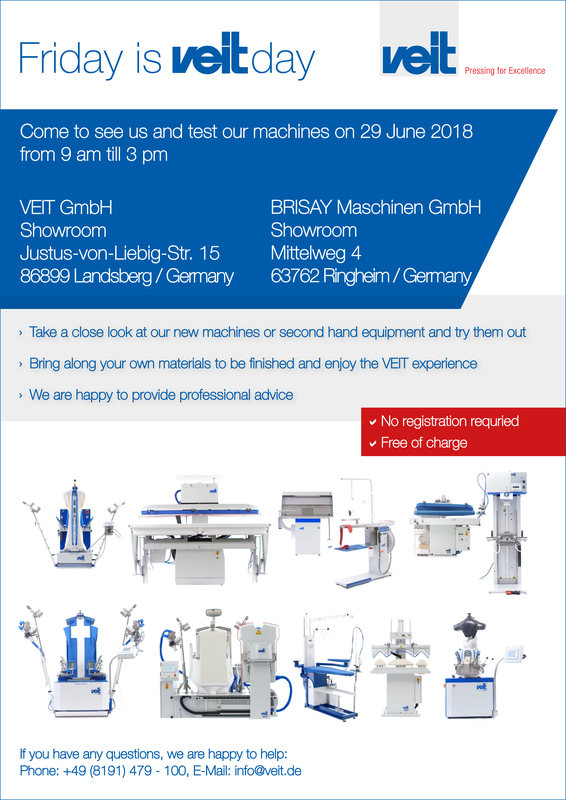 The VEIT Group offers you show rooms in Germany and America. We welcome the opportunity to present our product range to you and give you a first hand demonstration on your sample goods. Please contact us for more information or to schedule a visit.